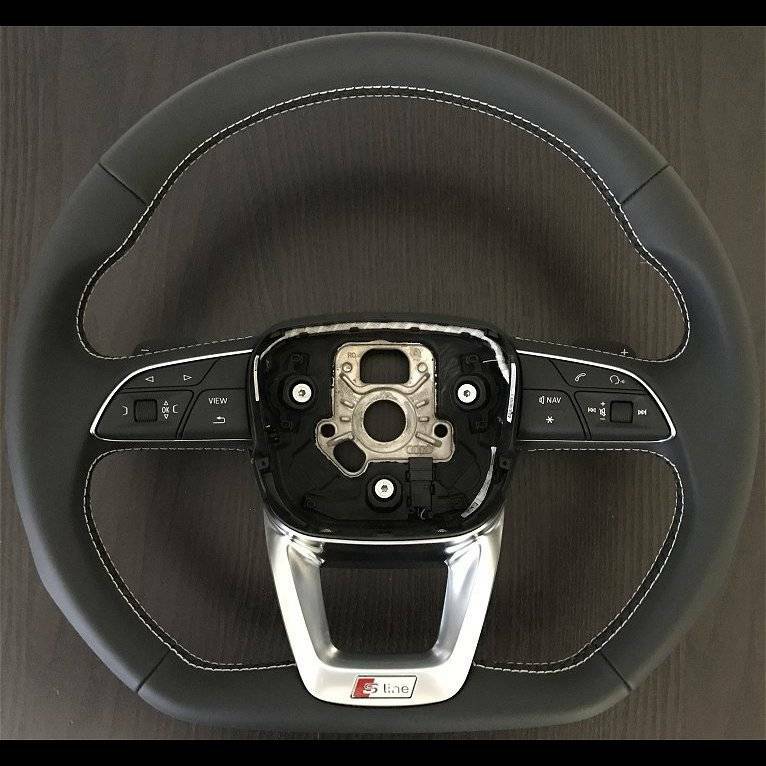 A more contoured flat-bottom steering wheel wrapped in smooth leather with silver stitching. Available with black shift paddles. Includes S badging and S-Line badging is optional. 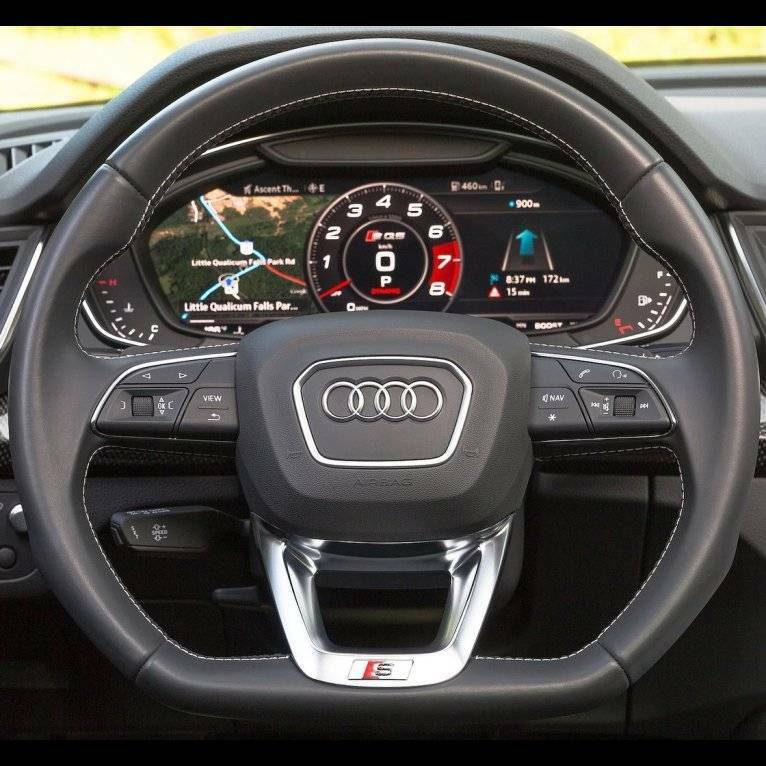 *Note this steering wheel is for use with the trapezoidal shaped airbag.